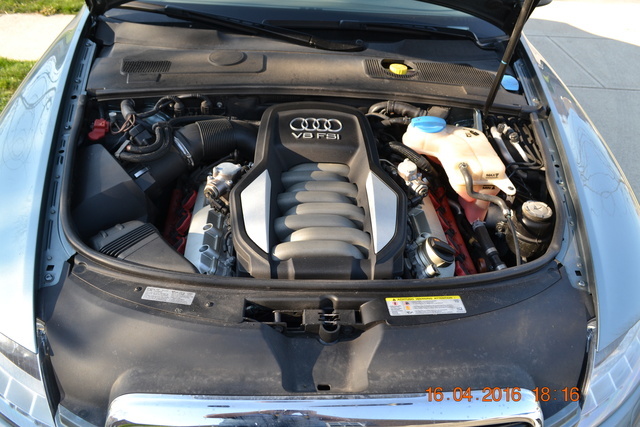 CarGurus has 8,018 nationwide A6 listings starting at $1,100. 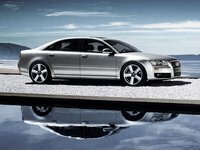 The 2011 Audi A6 sedan offers rakish good looks, sparkling performance, and coddling luxury, all at a most appealing base price. The recent introduction of all-new models from BMW and Mercedes-Benz means the 2011 A6 is starting to look at bit long in the tooth. Buyers seeking a stylish, refined midsize luxury sedan should put the 2011 Audi A6 near the top of their list. A variety of sophisticated engines, including a punchy supercharged V6, enliven the drive, and Audi's interior execution remains near the top of the class. While bested in some areas by new entries from BMW and Mercedes, the A6 remains a polished performer that's chock full of value. Slotting in between the small, sporty A4 and the huge, luxurious A8, Audi's 2011 A6 sedan neatly balances performance and refinement. For 2011 buyers can equip their A6 with one of three different engines, each showcasing a different personality, and either front- or all-wheel drive. Audi attempts to keep the A6 fresh for 2011 by subtly reworking the front and rear bumpers and reshuffling some of the available options. While welcome, these modest revisions might not garner much attention, especially since BMW's all-new 5 Series will be rolling into showrooms with much fanfare this summer. Yet despite its aging design, the 2011 A6 has much to recommend it. 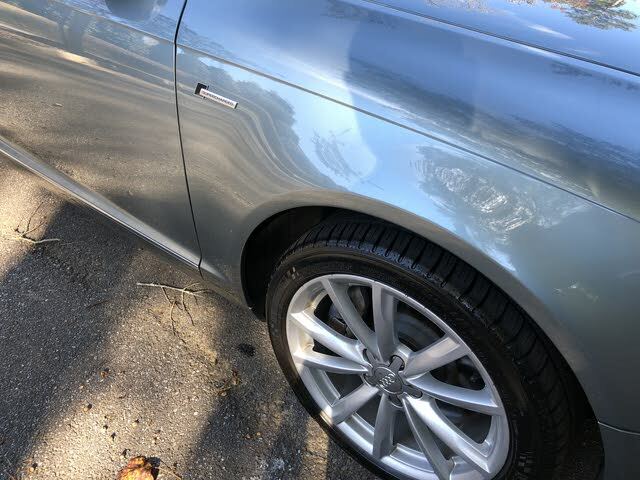 Few manufacturers are as adept as Audi at combining Teutonic performance with sybaritic luxury, and the 2011 A6 is as polished and capable a sedan as you'll find in this class. Another area where Audi holds a significant advantage over the competition is price; an intelligently equipped 2011 A6 can be driven home for far less than a similarly equipped BMW or Mercedes. For 2011 Audi offers the A6 with three different engines: a naturally aspirated V6, a supercharged V6, and a naturally aspirated V8. The base V6 displaces 3.2 liters and makes use of direct-injection technology and all-aluminum construction to deliver 265 hp and 243 lb-ft of torque. This motor mates to a clever continuously variable transmission (CVT) that can call upon a near-infinite ratio spread to deliver both sprightly performance and respectable fuel economy. All A6s equipped with the base V6 are front-wheel-drive only. Those looking for more power in their A6 can step up to a 3.0-liter supercharged V6 that churns out 300 hp and 310 lb-ft of torque. With this more potent engine buyers also get a conventional six-speed automatic gearbox and Audi's vaunted Quattro all-wheel-drive system. While naturally aspirated A6s aren't exactly slow, supercharged models are blazingly quick, sprinting from 0-60 mph in under 6 seconds. Topping the range are A6s equipped with Audi's naturally aspirated 4.2-liter V8. With the same high-tech FSI direct-injection system as the sixes, the powerful V8 makes 350 hp and 325 lb-ft of torque. V8 A6s drive all four wheels via the same six-speed automatic and Quattro AWD system as supercharged six-cylinder models. Yet despite it's obvious advantages in displacement and output, the V8 struggles to match the performance of the blown V6, mainly due to its more relaxed tune and added weight. Audi has long sought balance in the handling characteristics of its vehicles. With the 2011 A6 the crew from Ingolstadt has expertly merged the friskiness of a BMW with the composure of a Mercedes or Lexus. All A6s feature a four-wheel independent suspension that provides just the right degree of firmness while still maintaining a compliant ride. While the front-wheel-drive A6 3.2 tends to understeer a bit at the limit, Quattro-equipped A6s are very well balanced and offer seemingly unlimited road-holding ability. An optional (but ultimately unnecessary) sport suspension and wheel package trades comfort for grip, making the A6 corner sharper while riding harsher. Where BMW has been criticized of late for replacing its famously communicative hydraulic steering with a numb, electric setup, the 2011 A6 continues to offer Audi's superb rack and pinion arrangement. Quick and responsive off center, yet composed on the highway, the A6's steering is one of its best attributes. While the newer, larger 5 Series might put more impressive handling numbers on paper, the A6 will more reliably put a big smile on its pilot's face. In terms of ride comfort, the 2011 A6 isn't quite as forgiving as the air-suspension-equipped Mercedes E-Class, yet it never feels unduly harsh and deals with large road imperfections with a minimum of fuss. The 2011 A6's cabin reinforces the company's ethos of balance with an understated elegance that's often missing from its trendy competition. Much like a Savile Row suit, the A6's interior is upscale without being flashy and feels as if it will never go out of style. The dash is well laid out and rendered in high-quality wood, plastic, and leather. The 2011 A6 gets the latest iteration of Audi's well-received MMI dashboard computer. The MMI system runs rings around the competition (especially the improved, but still maddening, BMW iDrive) with intuitive menus and a sensible control-wheel interface. Though perhaps not as wide as the new 5 Series (itself a scaled-down version of the gargantuan 7), the 2011 A6 is very roomy and benefits from Audi's careful packaging. Head, leg, and elbow room are generous up front, and the seats are perfectly bolstered and all-day comfortable. The rear bench is quite spacious for two, but becomes a bit cramped when three are aboard. Befitting its status as a bona-fide luxury car, the 2011 A6 is chock full of standard equipment. While BMW and Mercedes charge a pretty penny for GPS navigation, Audi includes it in all A6 trims. Also standard are leather upholstery, power seats, a 10-speaker DSP stereo, and rain-sensing wipers. Several option packages offer items like xenon lights, heated seats, and a parking camera, while the top-dog V8 trim comes loaded with adaptive headlights, push-button start, and an upgraded Bose stereo. Audi equips every 2011 A6 with standard front, front side, and curtain airbags, force-limiting seatbelts with pre-tensioners, traction control, and an electronic stability program. Optional safety gear includes a blind-spot warning system and rear seat side airbags. In addition to the measure of protection provided by the excellent handling and Quattro all-wheel-drive, the 2011 A6 has scored very well in crash testing. The Insurance Institute for Highway Safety (IIHS) rated the A6 as Good (its highest rating) in both frontal offset and side-impact crash tests. On the whole, Audi A6 owners are very pleased with their cars. Reviewer after reviewer praises the A6's performance and handling. The sumptuous interior receives high marks from nearly everyone, as does the classy and understated exterior. Owners also like the A6's large trunk, a feature that makes it an ideal upscale family car. Demerits include a few gripes about fuel economy, especially with the V8 engine, and complaints about the high cost of upkeep now that Audi has discontinued its popular free scheduled maintenance program. What's your take on the 2011 Audi A6? Users ranked 2011 Audi A6 against other cars which they drove/owned. Each ranking was based on 9 categories. Here is the summary of top rankings. Have you driven a 2011 Audi A6?